I had just finished reading David McCullough’s John Adams when I began my Jane Austen journey and was always a bit intrigued by the fact that the biographies of the iconic author and the founding father began the same way; a cold and blustery December day in 1775. 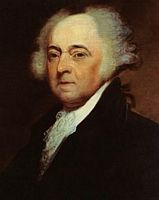 John Adams left his home in that month and year to attend the second continental congress in Philadelphia. It may not have been the actual shot heard round the world (that being the musket fire at Concord) but the result of that convention was most definitely heard round the world. At the same time across the Atlantic in the English countryside a baby girl was born at Steventon Rectory. Her cry may have only been heard by those in the house but in the years to come her pen would have an impact on the world to match Thomas Jefferson’s. It may seem a stretch and some may even consider it a trivialization of Jefferson’s words but I believe that Austen’s impact on the world is no less important than Jefferson’s. The effect of Jane’s writing maybe more subtle than that of the Virginian and Thomas Paine but it is no less influential. Jefferson’s and Paine’s words instigated and promoted a revolution, a war of independence. Jane’s words had no such excessive consequence. Still in her own, quiet, genteel yet powerful way she declared and promoted the same principles of freedom and self-regulation as our American forefathers. 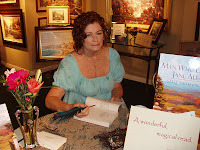 In all her novels Jane advocates independence of person and thought, the rights of all and acceptance of responsibility of those rights and actions. Jane Austen may not have incited military actions as Jefferson did but even as an avowed royalist I doubt not that Jane Austen firmly believed in his declaration of the right to life, liberty and the pursuit of happiness for all. She had more liberty and independence than most women of her era but she was still restricted by societal mores that she found stifling. So she wrote strong, intelligent, independent women and the men who love them. Although she based most of her characters on the people in her life, one character has remained an enigma, Mr. Darcy. A few years ago I re-read all of Austen’s books and while her characters are fun and interesting, I was far more intrigued by the author herself. In an era when men treated women as chattel, to be sold to the highest bidder and bear heirs to maintain family fortunes, Austen’s men were different. Mr. Darcy was different in 1813 when the literary world met him for the first time and he is different today. A man of his stature and wealth would very likely, even today, simply walk away from a rejection such as Elizabeth’s without ever looking back. But Darcy is dissatisfied with himself and makes a concerted effort to change. Frankly there aren’t many men today who would do that. Darcy is the ultimate leading man because he altered his perceptions and attitudes with no expectation other than bettering himself. By doing so, however, he is able to please the one woman who is worthy of being pleased. Austen not only wrote the inimitable Mr. Darcy but six men who loved the six strong and intelligent women she also created. The men love the women not in spite of their strength and intelligence but because of those attributes. 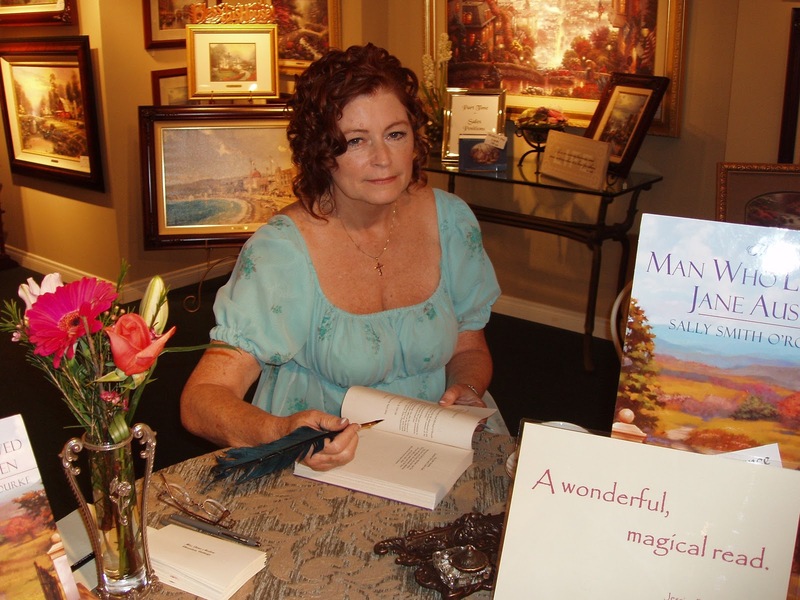 Thus infatuated with Jane Austen, my husband and I decided to write a ‘what if’ story about who the real Mr. Darcy might have been. In our hands he became a 21st century man who accidently slips through a rip in the fabric of time, waking up in Jane Austen’s bed. In The Man Who Loved Jane Austen, Fitzwilliam Darcy is an American horseman, master of a 200 year old estate in Virginia’s Shenandoah Valley, Pemberley Farms; breeder and trainer of champion jumpers. On a buying trip to England he and a new horse jump a rock wall and stumble into the spring of 1810. Three years later Manhattan artist Eliza Knight crashes the gates of Pemberley Farms armed with an unopened letter written to Fitzwilliam Darcy from Jane Austen and she wants answers. Darcy spins an epic tale of love and romance in Regency England, convincing the skeptic and pragmatic artist that the letter is meant for him. Yours Affectionately, Jane Austen continues the story, reacquainting readers with Fitz Darcy and Eliza Knight. It juxtaposes their blossoming romance with Jane Austen’s life the summer of 1813 as she copes with the subtle celebrity of being the ‘Lady’ who wrote Sense and Sensibility and Pride and Prejudice. 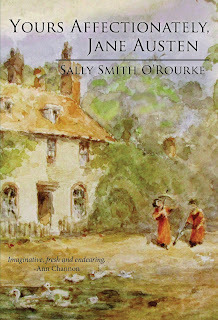 As the 200th anniversary of Pride and Prejudice nears (January 2013) Yours Affectionately, Jane Austen delves into the complex nature of the man who is the embodiment of Jane Austen’s most romantic and legendary hero and the women who love him. Although the sun was fully up in the Virginia summer sky, it was not yet hot. Fitz found jumping exhilarating; the cool morning air caressing his face, and Lord Nelson, so strong and graceful, took all the jumps with no effort. Heritage Week was over so things could get back to normal. He shrugged. Whatever normal is. He realized there was a very good chance that his normal was about to change radically. Eliza’s letter—the one she had found written to him from Jane—had ended his search for the truth of his Regency encounter. But Eliza did much more than give him the letter. He had been merely surviving, not living, in the years since his mother’s death. He’d thrown himself into the business of Pemberley Farms to the exclusion of almost everything else. Eliza’s arrival had heralded an acute awareness of that fact. It was as though a light was suddenly shining so he could see the world around him. She made him want to live again. And she had given him the letter… Jane’s letter. Fitz reined Lord Nelson to a walk as they entered the cool shade of the woods on the edge of his property. Jane. He had spent more than three years seeking proof of his meeting with her and of her feelings for him. 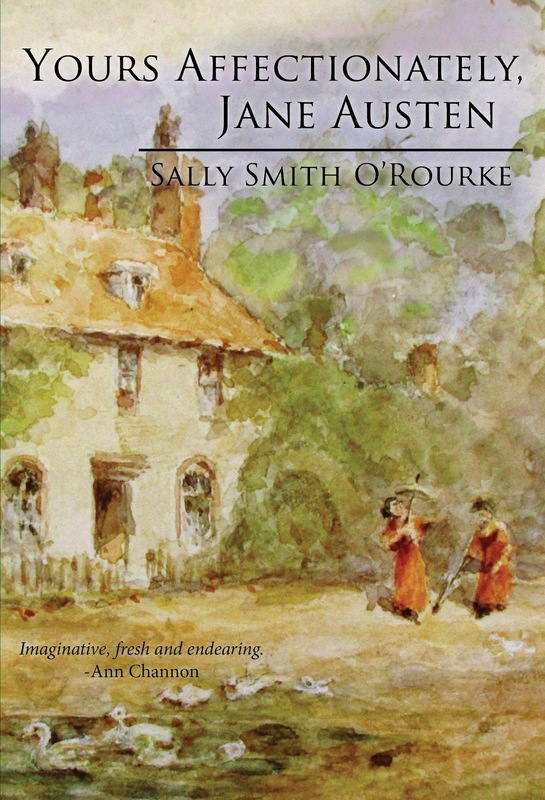 Almost as if he’d been transported again back to Chawton in 1810, the image of Jane’s sweet face flooded his mind. 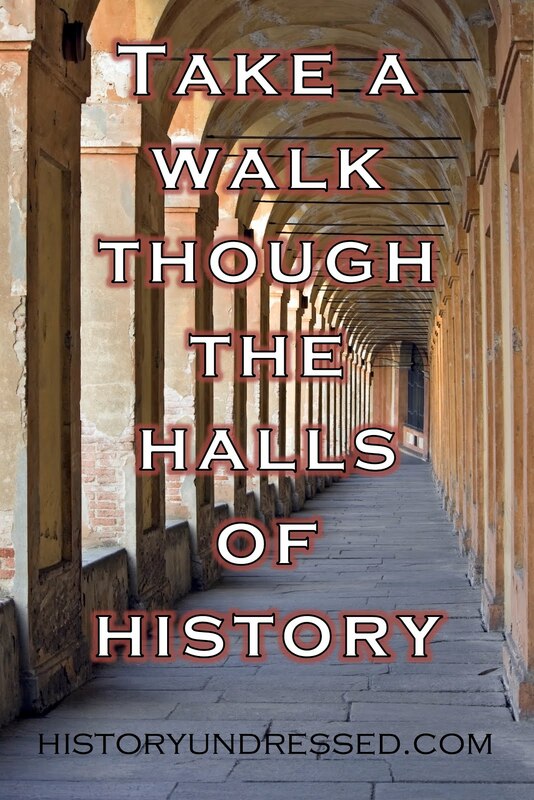 He thought back to that morning and his inauspicious entrance into Jane Austen’s life. 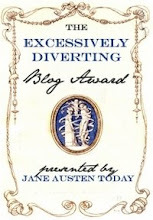 The combination of his head injury and the laudanum prescribed by Mr. Hudson, the Austen family physician, caused Darcy to slip in and out of consciousness. He tried to sit up, the effort making him dizzy. “The doctor,” Jane said. “You must rest now Mr. Darcy.” The American looked at her face. Her curiosity was palpable even in his drugged state. Unable to think clearly, never mind responding to questions he wasn’t sure he could answer, he closed his eyes completely and turned his head away. Jane returned to her vanity table where she continued to write; a single candle and the flames in the fireplace her only light. Interrupted in her writing by a low murmur from Darcy, she took the candle and quietly approached the bed. He was tossing back and forth, his face flushed and contorted; he was speaking in quiet tones, a hodgepodge of words that meant nothing to her. He spoke what she could only suppose were the nonsensical ramblings of a sick brain; she attributed words like television and jet to his head injury and delirium. She placed her hand softly on his cheek and was distressed by the heat radiating from him. Using fresh linen soaked in water from the pitcher on her wash stand, Jane swabbed his face and neck, then laid it across his forehead. It seemed to calm him and she went back to her writing. Each time he grew restless Jane stopped writing and went to the bed to refresh the linen with cool water. After three episodes in close succession she remained on the edge of the bed so she was at hand, and each time he started to toss and turn she would caress his face and neck with the cool, damp linen in hopes that it would, in time, reduce his fever. She stayed there until Darcy’s features turned placid and he was breathing more evenly. He finally seemed to be sleeping comfortably. She laid her small, soft hand on his cheek. The fever was broken. She dropped the cloth into the basin. Stiff from sitting in one position for so long without support, she stood up and stretched. She was not particularly tired but needed to get some rest. Quietly she crossed the wooden floor and slipped the small pages of writing she was working on into the drawer of the vanity, then took a nightgown from the closet next to the fireplace. Glancing back at the bed she stepped behind the screen. He opened his eyes just enough to see her slender, full-breasted figure silhouetted on the muslin screen, back-lit by the remnants of the fire as the light fabric of her nightgown floated down to envelope her. Jane stopped at the bed before making her way to Cassandra’s room for a few hours of sleep. As she stood over him he watched surreptitiously through the veil of his eyelashes. She leaned down and whispered, “Good night, Mr. Darcy,” almost brushing his lips with her own. In spite of his continuing laudanum haze, he could see that her eyes were filled with a tenderness that caused him to grab her hand as she straightened up; he didn’t want her to go. Cognizant of Mr. Hudson’s admonition of keeping the injured American calm and concerned her leaving might agitate him, Jane sat once again on the edge of the bed. Darcy smiled in the flickering flame of the dying fire. He said nothing more but gently took her hand. He did not relinquish it again until she rose to move to a chair by the side of the bed where she finally slept. The movement woke him. His mind finally clear of drugs, he scanned the room in the dim, pre-dawn light. There were no electrical outlets or switches, no lamps, television or telephone, and the only clock appeared to be pendulum driven. Everyone he’d seen wore costumes similar to the ones people wore to the Rose Ball. Those things and the medical treatment he had received led him to the inexplicable conclusion that somehow he’d fallen into another time—a time when Jane Austen was alive. And there she sat, serene in what had to be an uncomfortable position for sleep; his nurse, his savior and much prettier than she was depicted in the only portrait of her to survive to the twenty-first century. She was not the brazen hussy of Darcy family lore but a sweet and loving woman who took care of him without concern for her own safety or expecting anything in return. His mother would have said she was a true Christian. As he watched her in the pale light of the dying embers his head started to throb as though a nail was being driven through it. He closed his eyes and blessed sleep overtook him. Jane was an incredibly strong, intelligent, willful and virtuous woman who followed the propriety of the day… mostly. During the last three years he’d often wondered what might have happened between them if he’d been forced to stay in early nineteenth-century England. Of course with the way her brothers felt about him, he probably wouldn’t have seen her again. If the circumstances had been different would he have married her? He could have been happy with her, he supposed, but over the years he’d come to realize that the love he felt for her was based on who she was, the awe in which he held her, caring for him when she certainly didn’t have to, loving him. Then again, did she love him? She had never said it and the letter Eliza had found and given him showed obvious affection but she urged him to find his true love. Apparently she didn’t think she was it. Had they ever loved each other or had it just been a fling across the ages? He laughed. What difference did any of it make? Jane Austen had been dead for almost two hundred years. Still, the undisputed icon of witty English romance had kissed him whether she loved him or not. He still had to pinch himself to believe it had ever happened. He had no such questions about Eliza. Everything felt right when he was with her. This was no fling. He had no idea where they were headed, but for the first time in years he was looking forward to the rest of his life. As long as Eliza was with him he didn’t care where they were headed. 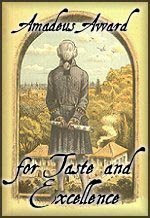 Fitz and Lord Nelson crossed the bridge at a leisurely gait; the ground fog was burning off in the warm morning sun. Had it really been only two days since he and the great stallion were galloping across the bridge before the fog had lifted and run Eliza off the road and into a muddy drainage ditch? He hadn’t even realized she was there until it had happened. When he did, he brought Nelson to a stop and, without questioning who she was or why she was walking along a road on his property, he had lifted her onto Lord Nelson’s back and then swung up behind her. She was slightly light headed from the sudden fall, and once on the horse she had leaned against his chest and he’d had to control a strong desire to kiss the top of her head. He still didn’t understand how a complete stranger could make him feel that way, but he didn’t really care. From the first moment, being with her felt right and wonderful and that was all that mattered. She had touched something in him that no one else ever had, including Jane, even before he knew her. At the Austen exhibit at the New York Public Library he had found himself staring at her. He laughed remembering that he had thought of her as a raven-haired beauty. Then two days ago she had come out of the fog and into his life. He had told her his story about jumping through a rift in time and meeting Jane Austen. It had been very difficult at first, but once he started it tumbled out and had been a relief that he wasn’t carrying it around anymore. It was as though a weight had been lifted and this slight, feisty New Yorker had done the lifting. She had listened to him with an intensity that had made her a part of the story. She had been kind and compassionate—he had seen real grief when she asked him about leaving Jane—and she had given him the letter that answered his questions about whether he’d actually met Jane Austen and how Jane felt about him. Jane would always hold a special place in his heart, but Eliza held his heart. Maybe it was too early to take it all for love, but it certainly felt the way he'd always thought love is supposed to feel. Horse and rider stepped out from the cool canopy of the woods and into the warm summer sun. Spurring his favorite horse to a full gallop Fitz guided him over every fence and stream on their way back to the barn.